The HTR A/S P02 is a premium choice for sport cars, sedans and crossovers. 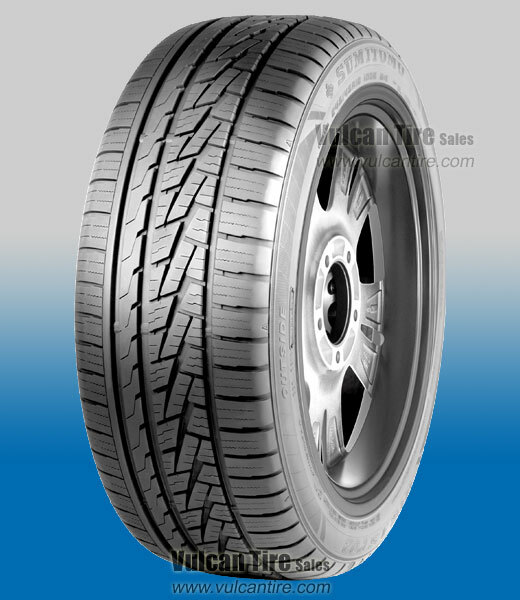 This tire features advanced Sumitomo manufacturing technologies and precision engineering to provide the following characteristics; exceptionally crisp, high-speed handling and responsiveness, the stability of superior all-season traction, the durability of extended mileage and treadwear and the security of an outstanding warranty package. My experience has been positive with these tires. These are the street tires on all 3 cars. These tires were a plus one wheel upgrade on this car. Outstanding tires for the price! Not a bad Japanese tire for the money! Best Bang for your buck if you live in warm climate. They are performance oriented all-season tires. So do not even expect any exceptional cold/snow performance. They are still great in rain though. Excellent tires for the money. Great for the snow matches well with the AWD system. For my daily driver, I want a tire that is reasonably quite, not harsh, has very good wet and dry traction, will not hydroplane and lasts a long time. This tire meets all of those criteria at a very, very good price. Great tire will definitely buy them again.